It’s now 20 years later and the thought of Senna brings about a bitter-sweet melancholy amongst many motorsport fans. We remember the amazing skill, the knife-edge racing and the unnatural ability to get more out of the car than anyone would have ever believed. We remember the proud patriotism and compassion that still sees the Senna foundation working hard amongst to poor and underprivileged of Brazil. Yes, we also remember the ruthlessness of a driver who would see the smallest sliver of daylight as an opportune gap for an overtake – oh, he was no saint when it came to racing but he was (and remains) THE best. I remember watching the race. I was at home from university for the weekend (it was my mums birthday), and I sat down to watch the race hoping that better luck would befall my racing idol and that he would get his maiden victory in the Williams. I was just shy of 21 at the time. With technical details being less common in the TV coverage of the day I can’t pretend to have had some amazing insight that made me thing the tyre pressures were too low because of the safety car’s lack of speed, but I do know that I watched the restart with a great sense of unease. This was a weekend that had already seen so much tragedy that it felt wrong for the race to be continuing. If only Ayrton had taken up the offer from Professor Sid Watkins to go fishing instead. But he was a racer so that wasn’t an option. On only the second racing lap of the race Ayrtons car failed to take the 190mph Tamburello Curve, evidence would show he managed to slow it down to about 135mph by the time the car hit the wall. The moment etched forever in the memories of millions of fans. I watched, horrified but transfixed. Praying and wishing that he would climb out of the car, take off his helmet, and give a wave to the crowd. I was sure I saw him move, as were millions of fans all over the world. It later transpired that this was probably caused by a muscle spasm and that he was already gone. 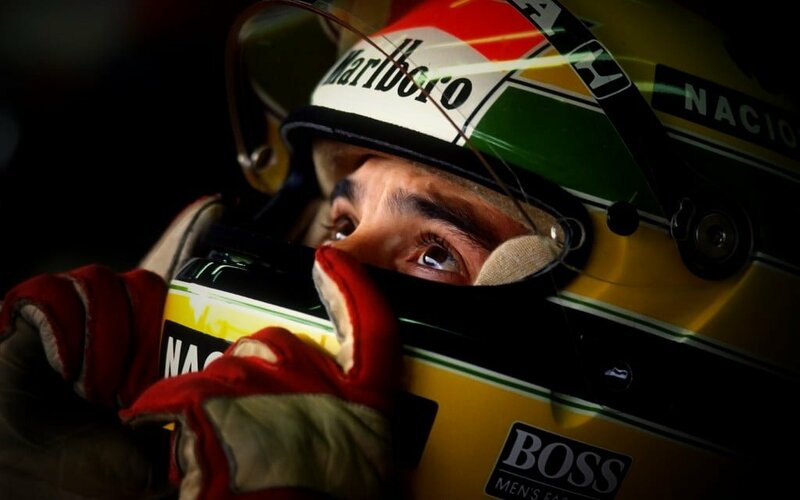 When the news broke, later that day, that Ayrton had died as a result of the crash I just wept. Even though the doctors and medics tried to revive him, the official time of death lists his passing as the time he crashed at the circuit. I stopped watching F1 and wouldn’t start until the future Mrs Hartley got me back into it in 1999. Even now, 20 years later, I cannot ponder too long on that weekend without welling up again. In the midst of the tears I smile though as I remember watching him race. Portugal ’85, Brazil ’91, Monaco ’88 and ’92 – and then there was, of course, Donington ’93. He was a genius behind the wheel, one with the car and the circuit. He was unbelievably strategic and tactical, positioning his car just right and driving with intellect that would often (but not always) be working in tandem with the fire and passion of the competitor he was. RIP Ayrton Senna. The greatest of them all.